Researchers say there is a "powerful ripple effect" when children are allowed to have TV and video game systems in their bedroom. A new study tracked elementary-age children over two years, ultimately finding that the kids who had TVs or gaming systems in their rooms (away from parents) were more likely to spend extensive amounts of time engaged with media and consume content they wouldn't in front of other people. 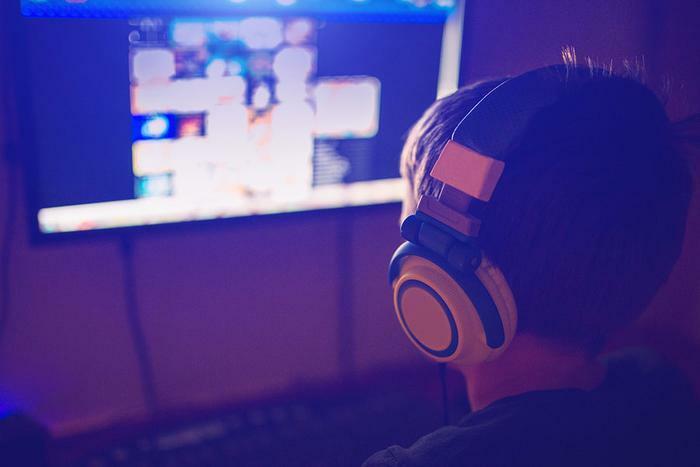 Additionally, bedroom media predicted poorer school performance, higher risk for obesity, greater likelihood of video game addiction, and greater aggressive behavior, the study found. Lead author Douglas Gentile, a professor of psychology at Iowa State University, says the media itself isn’t what raises the risk for these consequences -- rather, it’s allowing a child to have these systems in their room. For nearly two decades, the American Academy of Pediatrics (AAP) has recommended that children not have media in their bedroom. This study shows they were right, says Gentile. Children who have bedroom media are more likely to overindulge, which can displace beneficial activities like reading and sleeping. They are also likely to be exposed to more violent media. “There are many potential benefits to children having access to the media. Certainly the one parents are most aware of is that it keeps the kids quiet and out of other trouble. But most of the other benefits (e.g., educational benefits, communication benefits, etc.) they could enjoy could be gotten just as easily in a public room,” Gentile told ConsumerAffairs. “Once [media] moves into the child's bedroom, both the amount and content change (as can be seen in our study), and on average, not in a way that is good for the children's long-term health and wellness,” he said. Studies show more than 40 percent of children aged 4-6 have a TV in their bedroom, and a majority of children 8 and older have a TV or video game console in their bedroom. While this study looked specifically at TVs and video game systems, the study authors expect the effects to be the same – if not stronger – now that children have access to digital devices like cell phones and iPads. As a parent himself, Gentile knows how hard it can be to say ‘no’ to media in the bedroom. However, he argues that taking devices out of the bedroom is worth the short-term fight because it will be better for children in the long run. If parents don't want to remove media from bedrooms, “they should work to establish good rules and boundaries about what, when, and how much. If children can’t abide by those rules, then the media should be removed,” Gentile says. “The goal for most parents is to get children to self-regulate, and some kids are better at that than others,” he added. The study has been published online in the journal Developmental Psychology.